Me, well, I want to make them at home, from scratch, so our house smells like a tortilleria. MMM…. SO GOOD!!! I adapted this recipe from one of my favorite tv food people, Alton Brown. He is funny, witty, and puts the art of science into food. Which is helpful when you are trying to learn why things work, and why they do not. Just so you know… If you choose to go rustic on this one, it may seem like you are doing it all wrong. BUT you are not. The fresh Nixtamal is coarse, and rustic. So the tortillas come out a little more grainy and thicker. They taste more like corn. 1. Pulse the Nixtamal in a food processor 10 to 15 times. Then add a couple of tablespoons of the water and pulse 8 to 10 times. Add 2 more tablespoons of water along with the salt and pulse several times, until you see a dough start to form. Scrape down the sides of the bowl a couple of times between adding water. If the dough is still dry, add a tablespoon of water and pulse a few more times. Turn the dough out onto the counter and roll into a ball. Wrap in plastic and rest at room temperature for about 30 minutes. 2. Preheat a cast iron griddle or skillet over medium-high heat until it reaches 400 degrees F. Try to keep it at 400 degrees for even cooking by using a infrared thermometer, or drop a couple of drops of water on it. If the water sizzles and dissipates right away, it is probably ready. 3. Set up a work station for tortilla making time! 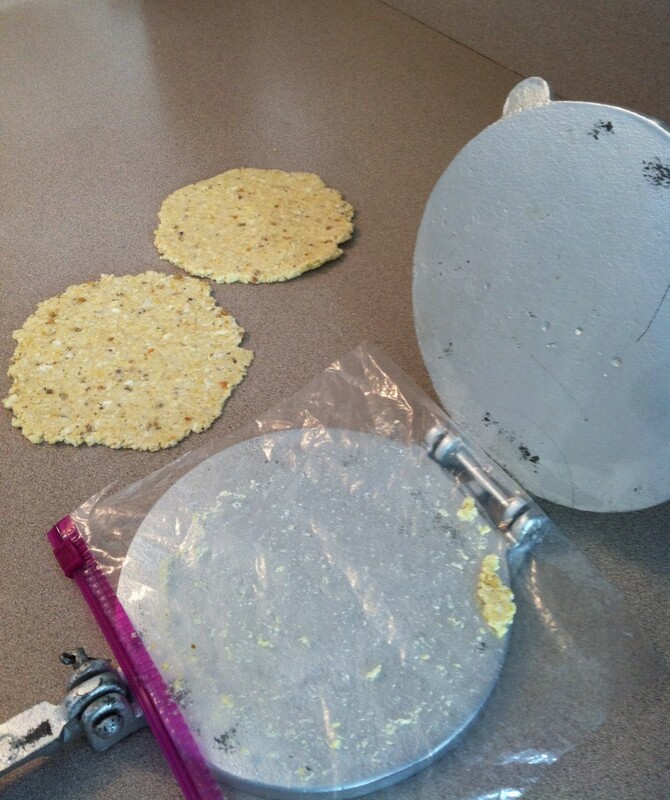 Get you tortilla press out, and cut dough into approximately 16 even pieces. Keep dough covered with a towel, as to not dry out. Cut a quart, or gallon size ziplock bag on each side. This depends on which size tortilla press you have. I have a smaller press, so I used a quart sized bag. 4. Place One ball at a time into the press, and make sure to put some muscle into it to get it flattened out. I prepared all 16 tortillas before I started cooking. But you are welcome to cook as you go. 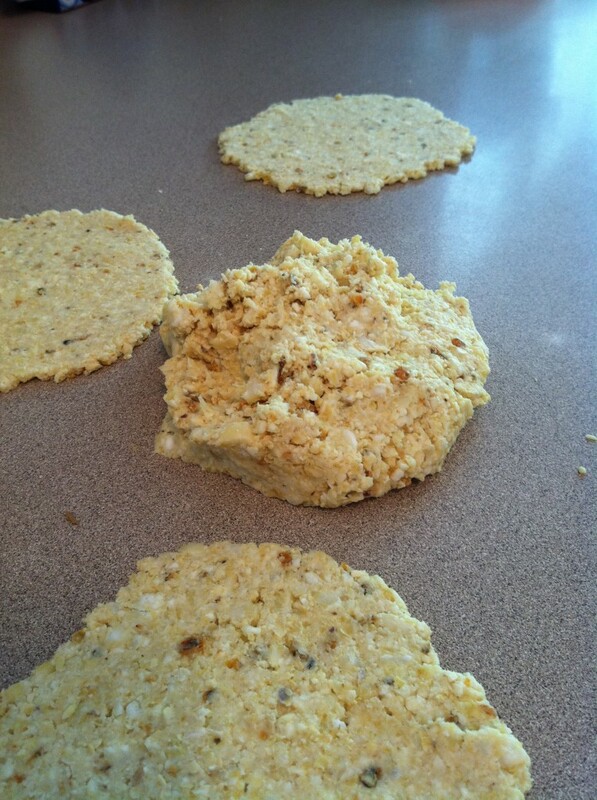 Place each tortilla on the griddle or skillet, and cook for about 1 minute on each side. You can use them immediately, store in a warmer for later use that day, or store in an airtight container for up to a week!